Do we go with that? Have we got discord set up? Gonna cancel the server and TS - I'll confirm date it goes off-line when I know. Could always use Discord as Comms? 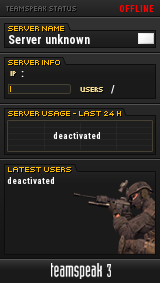 Guys what we wanna do about the CoD4 server? Can we get alternative free comms? my steam account was hacked 2 months ago! Who are up for Sunday night scrims ?